Carry Cush Water Gel Foam Cushion - Constructed from a water/gel combination & surrounded by foam to insulate against cold. 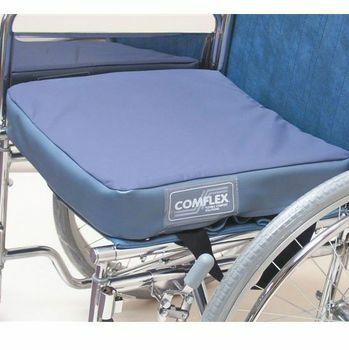 This cushion provides excellent comfort while distributing pressure. Covered in soft quality bi-elastic waterproof PU fabric which is vapour permeable. Fitted with carry straps. Suitable for most wheelchairs/chairs. Weight capacity 110kg.